My tryst with Biryani in Kolkata started long time back. Back when the world was relishing on the spicy Hyderabadi Biryani I was introduced to a different side of Biryani during one of my Kolkata trips. I was introduced to Arsalan and its hospitality (or Tehzeeb). This is a place that every Kolkatan knew from their early days, the name that is synonymous when it comes to food and Kolkata. And why not, Arsalan deserves every bit of praise that has been said for it. Known for its Mughalai cuisine it is a sin for a foodie to visit Kolkata and yet not visit this place. I have traveled to different parts of India and have tried a number of Biryanis but Arsalan always stands out. Arsalan values the money you are paying for. 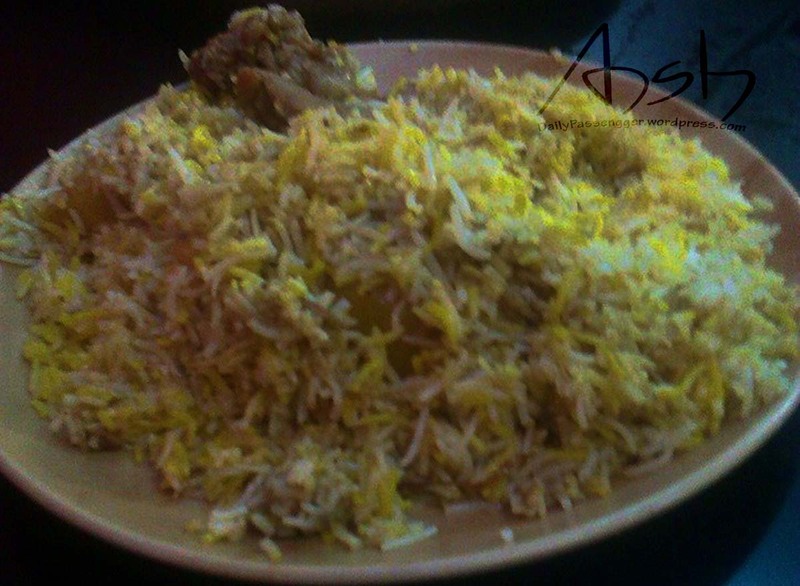 The quantity of Biryani is as awesome as the quality, a plate is enough to relish two people and that is one of the reasons I dare visiting this place alone. The biryani is made in such a way that all the flavors mingle in rice and pieces of mutton. Also on a bonus you get a large boiled potato and en egg in your plate. The flavors burst in your mouth with the soft chunks of mutton that melt in your mouth. The rice is less spicy than the Hyderabadi and less oily than the Awadhi counterparts. Apart from Biryani at Arsalan, the cheese kebabs and mutton stew are also a must try. Also you must not miss Phirni here that most of the time is out of stock if you want to visit this place in the evening or on a crowded Sunday afternoon but it is worth it. Arsalan is an unforgettable part of my every Kolkata trip. I simply cannot forget the taste and the flavors that I have relished here and cannot wait to be here again. Oh that looks yum!! Great write up! !